You step into a room and you know something is off but you can’t pinpoint it. Could it be the furniture arrangement? 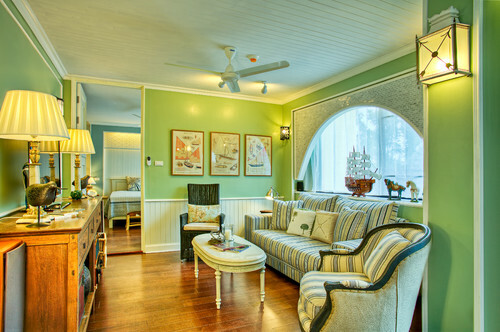 Home design writer Fred Albert with the Houzz editorial staff offers up several tips on proper furniture arrangement. Here are four of his tips, along with some tips from HGTV.com, on finding the right balance when furnishing a space. 1. Pinpoint a focal point: What do you want to highlight in the room? A fireplace or the beautiful view it offers to the outside? Arrange the furniture to highlight the focal point. Have the largest piece of furniture, such as the sofa, pointed toward the room’s focal point. 2. Create balance: You can achieve balance by using symmetrical or even asymmetrical arrangements, depending on the feel you want to create in the room. In formal areas, symmetrical tends to work best, such as two alike sofas across from one another. If you want a room to feel more casual, you might do an asymmetrical arrangement, such as a sectional across from two small arm chairs. 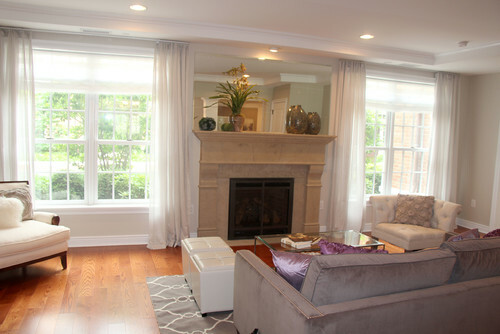 Traditional Living Room by Mckinney Interior Designers & Decorators Lori Rourk Interiors Inc.
3. Good flow: Consider how traffic will walk through the room. You’ll want to be sure to keep a path between doorways. Albert recommends allowing 30 to 48 inches of width for major traffic routes and a minimum of 24 inches of width for minor ones. 4. Mix in some contrast: Consider combining straight and curved lines in furnishings. For example, Albert notes that if the furniture is modern and linear, you might consider throwing in a round table for greater contrast. If the furniture is curvy, add in an angular piece. Great tips. Will keep this into notice while decorating home. Thanks for sharing with us.